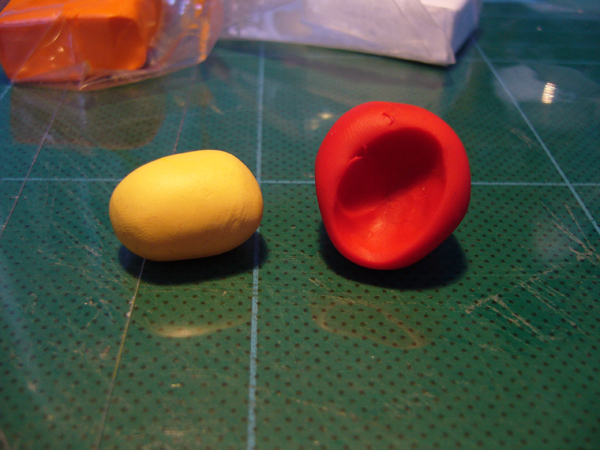 I’ve been doing some clay modeling with Fimo, baking and gluing tests today. 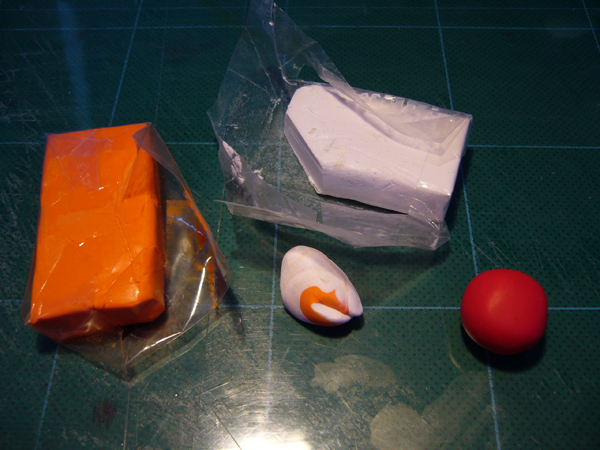 Pics 1 & 2 – Mixing the the body colour out of white, orange and some yellow mixed. Pic 3 & 4 – Assembly. 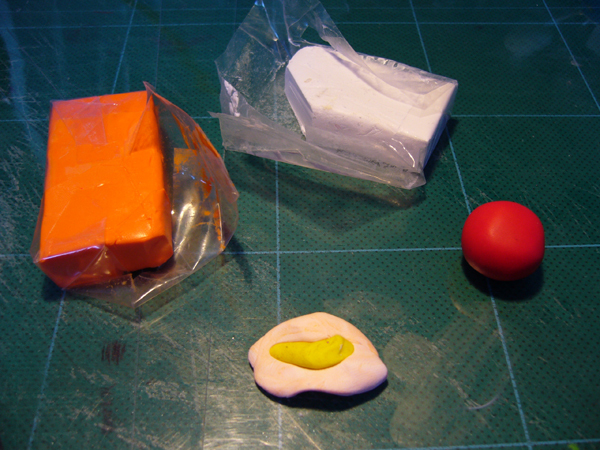 Found it very difficult to keep the colours separate. 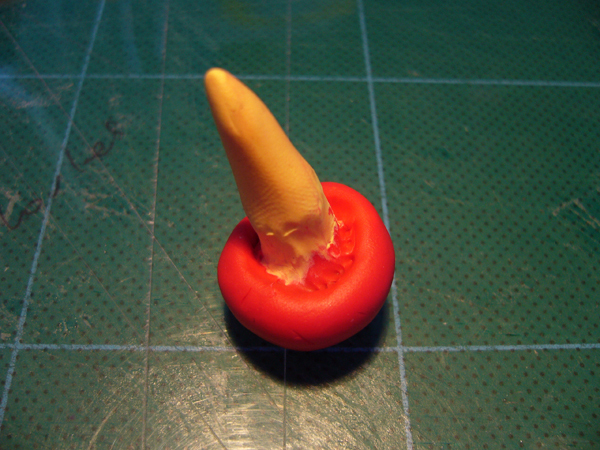 Pic 5 – Cap and stalk joined. Pic 6 – Final assembly. Eyes fiddly due to tiny size. Added white dots. Final mushroom was baked in the oven for 25 mins at 130 degrees celsius. 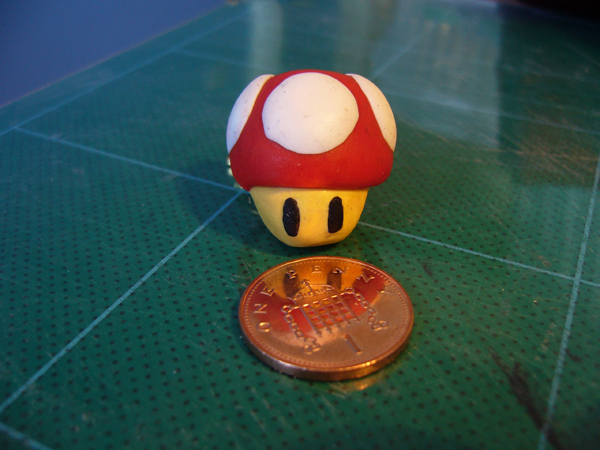 I was able to sand the mushroom to remove some unwanted colour with an emery board. 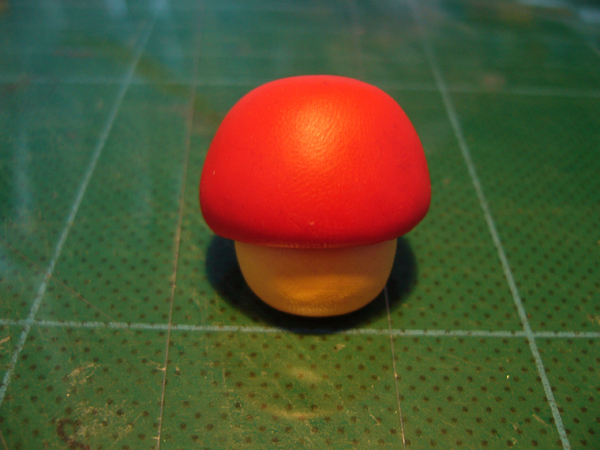 Sealed the final mushroom with acrylic painting matt varnish.